The safety test of electrical devices must, after having been tested without current and depending on the relevant test standard, be completed by a line leakage measurement with increased rated voltage. Only by means of the line leakage test it is possible to activate the internal controls in case of electro-mechanical devices. So the line leakage test is of special importance. Series AI 5000 offers 3 different techniques. 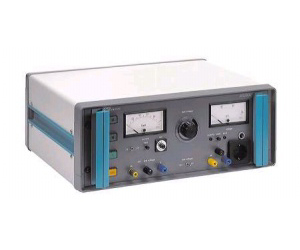 While tester AI 5000A draws its test voltage directly from the power supply, tester AI 5000P applies a safety isolating transformer. A further and important feature of the testers is the cutting-in. With tester AI 5000P an operation mode change-over is possible without turning off the supply voltage of the DUT. Devices AI 5000L and AI 5011L have been designed for application in automatic test systems.